The backing has been stitched and the layers have been "loaded". Next is what I liken to a dance. I stand behind the head, steering by hand a pattern I'm following on a long roll of paper. As I move along the pattern with a laser light, I move my feet side to side, front to back....the dance. This is going to be a long one. I almost called this quilt a freebie. It's a true scrap quilt. There are bits and pieces of past quilt projects. Many quilts gifted over the years...quilts for the kids as they go off to college, a quilt for a friend rising to the challenges of cancer treatment, a quilt that was simply therapy for me after a particularly frustrating week of volunteer work, pieces of them are in here. I had a good chuckle the other night. As Bruce looked over the fabrics in the quilt, he commented "This one looks familiar." I replied 'I hope so'..... It was fabric left over from a shirt I had made myself over 10 years ago and had worn at least once a week during warmer weather during those 10+ years. Grin! 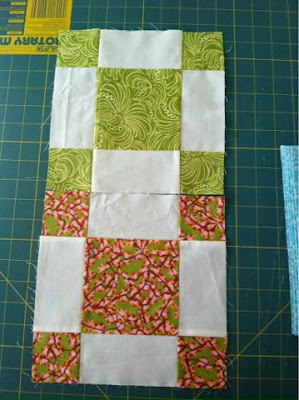 I think a better name for this type of scrappy quilt is a Bonus Quilt. Much like Bonus Baseball (extra innings), a Bonus Quilt gives you something extra for the initial investment.